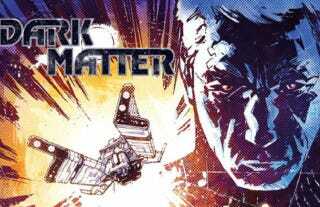 Syfy's going to adapt Joseph Mallozzi and Paul Mullie's graphic novel Dark Matter into a series. The pair, who worked with the network back in the Stargate days, will be back to executive produce the show. Coming in 2015, the 13-episode first season will be co-produced with Prodigy Pictures (Lost Girl, XIII). The story follows a crew of derelict spaceship who wakes up with no memory of who they are or how they got there. Despite this, they have to work together to overcome the threats they encounter. It really feels like Syfy's got a lot more new series on the horizon than it's had in a long time. It's nice to hear that the channel hasn't been completely lost to the "Syfy original movie" and reality programming.